Overclock.net > Overclock Marketplace > For Sale / Wanted > Software > Malwarebytes key? I want a legit malwarebytes key so I can protect my browser. I refuse to order CD keys since some are scams and I ordered one time and it didn't work after a reformat. So I rather not blow 39.99 for a key. I wish Malwarebytes can sell it for a lower price and it could last a year or two. Premium would be nice but it's hard to find. Does anyone have a spare working key to use I can purchase you from? Paypal accepted only I can use. Thanks. NO you don't understand. I did reformat my hard drive and reinstalled everything and the key never worked anyways. I was ripped off by G2A. They sell bad keys. I wanted a legit one. Not sure if it's legal to do so seeing it's a activation process/ support is to say where it was purchased from. mbam premium is a yearly subscription and I forget how much it is. eBay. Doesn't work, open a claim. That's where I bought mine and it's been over a year now without any issues. Regardless, you can't sell/buy keys on OCN. You can still get premium as a one time lifetime key. Last edited by The Pook; 03-22-2019 at 10:17 AM. If that's the case just purchase from mbam direct. I doubt mbam sells one time keys anymore. Yea they don't sell premium anymore and I apologize for asking keys on this forum. I didn't know we don't allow such things as like this. I think I will file a claim to Malwarebytes about this situation and see what the other end can do. Thanks. 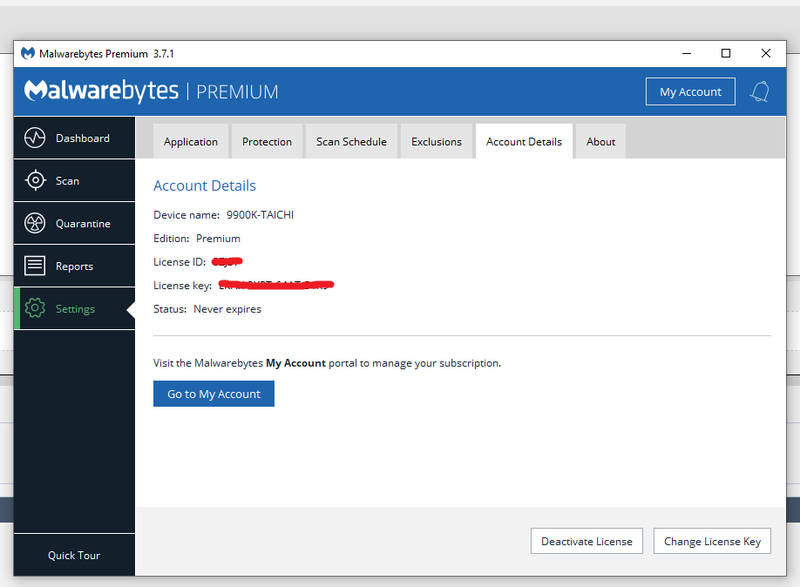 If you want malwarebytes to sell you a key, open a support ticket with them, CALMLY explain your situation, explain how their software has been very useful over the years for protecting computers from ever evolving threats, and ask VERY VERY politely if you can purchase a one time lifetime key from them and tell them it will only be used on one computer. Be very courteous and respectful. People tend to listen to you and sometimes will go the extra mile if you elevate yourself above the standard entitled or pathetic attitude many people have. It's a long shot, no matter what, but you would be surprised by what some people will do for someone with class. Good luck, and if they help you out, please don't abuse or take advantage of that. And for the love of god, don't run around forums posting that they sold you a key or gave you a massive discount on a subscription. I'm sure they get enough spam emails from people begging as it is. Browser protection just install Ublock origin it can block quite a bit just off the default settings. Fleabay well they do have good support for fraud if you find one there. Overclock.net - An Overclocking Community > Overclock Marketplace > For Sale / Wanted > Software > Malwarebytes key?